Each piece of furniture is handcrafted and assembled in America (Savannah, GA) using American domestic hardwoods: Black Walnut, Appalachian Oak, Ambrosia Maple, and Cherry. There is no substitute for the feel of authentic wood. 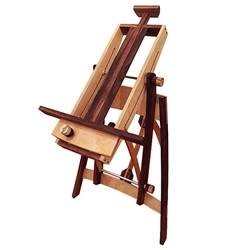 These easels are custom made and require 8 to 10 weeks to manufacture, so if you decide to order one your patience is required. The adjustable mast allows for a canvas up to 54". 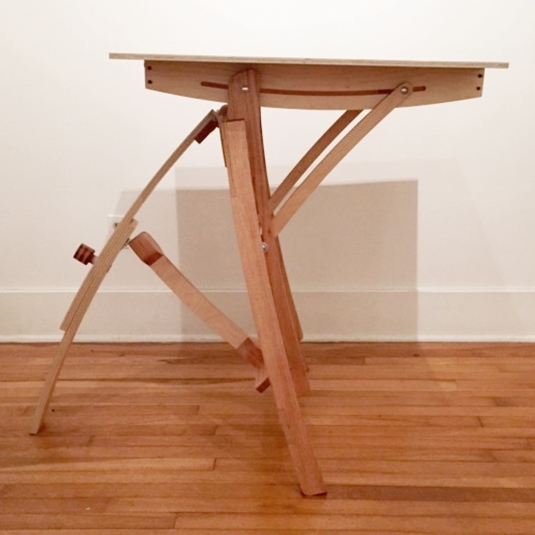 The LOKI comes with a slide-on tabletop/drawing board (24" x 32") for watercolor or mixed-media and will accommodates a full sheet of watercolor paper with no overhang. The LOKI folds flat for convenient transport and storage. 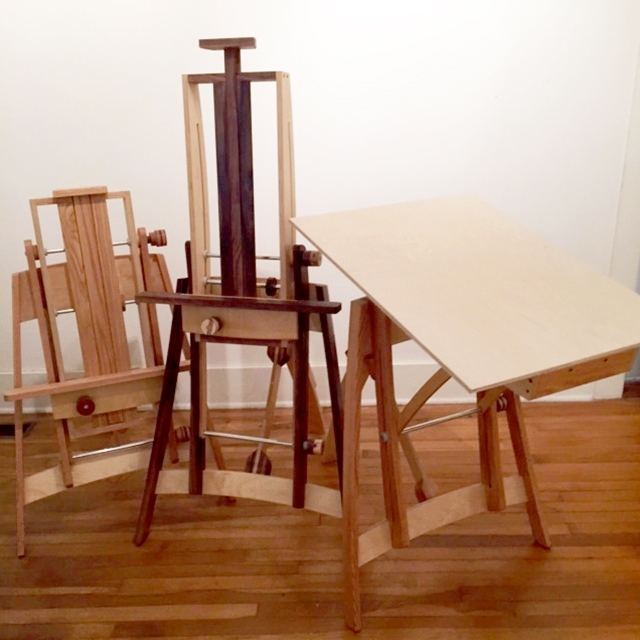 Each easel is hand built, testifying to the artisanship of the designer and craftsman. Receiving individual attention, each easel is built for strength, endurance and longevity. The innovative locking mechanism makes adjustment into any angle or position fast and easy. Handmade, custom knobs, using exotic hardwood(s), make adjustment a tactile experience. Your LOKI can be customized to your specifications with a choice of American hardwoods: Red Oak, Walnut, Cherry, Ambrosia Maple. Hardware (nuts/bolts/bushings/slides) used in the construction of The LOKI are produced and assembled in America. Is this address residential or commercial address? 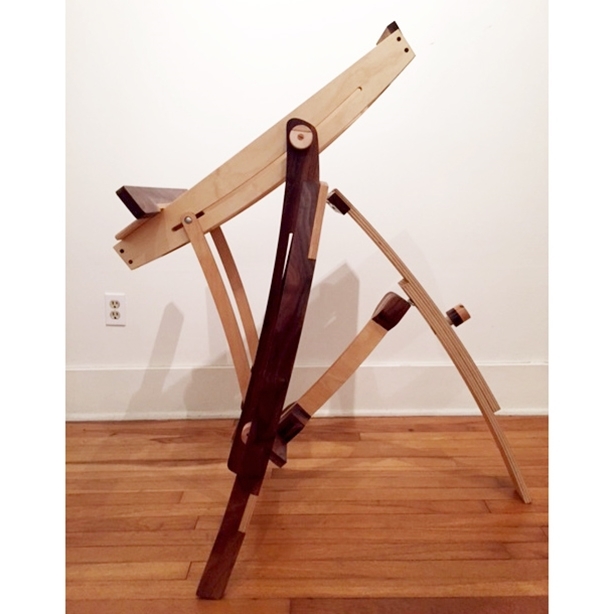 The crated easel weighs about 100 lbs - will you require the additional cost of a lift gate?